Browse one of our properties and get special Internet rates with secure online booking. Or, use our search to find specially priced properties for your specific dates of travel. Located on Venice Island - close to beaches and downtown. Experience the European-style architecture of one of Venice's 1926 homes. Nightly rentals in the mansion and monthly apartment rentals. heated pool. 1920's Charm with today's Amenities! Hampton Inn & Suites Venice is located close to Venice Beach, Nokomis Beach, and Fox Lea Farm. Amenities include an outdoor pool, a spa tub, and a fitness facility. There are 109 guestrooms. The Veranda Inn features 37 newly appointed rooms, efficiencies and suites, complimentary high-speed Internet access, heated outdoor pool, and more. Walking distance to Venice Regional Medical Center. Close to beach and shopping. Pets allowed at this Holiday Inn Express located very close to I-75 and Jacaranda Blvd. in Venice, FL. Beautifully decorated guest rooms featuring the utmost in comfort. 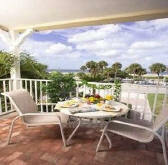 A Beach Retreat is located in a nature preserve on Nokomis Beach, Fla., just three miles north of Venice, Fla. The area is free of high-rise buildings and crowded streets, making A Beach Retreat an ideal place to relax in an Old Florida setting. 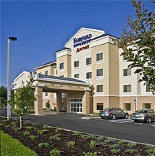 The hotel provides wireless Internet access throughout the hotel. Outdoor activities are this property's area of expertise, with numerous on-site recreational pursuits, such as golfing, snorkeling, bicycle rentals, kayaking, scuba diving and parasailing. A heated outdoor pool and a picnic area with barbecue grills are also available on site. Each of the 26 guestrooms feature Tommy Bahama furnishings, granite countertops and tiled floors. Rooms offer kitchenettes, beds with pillowtop mattresses and DVD players. Amenities include cookware, coffeemakers, microwave ovens and refrigerators. Wireless Internet access is available. Ten boat slips are available for rent, located right outside the property. All of our 2 and 4 bedroom villas are beautifully appointed and offer our guests all the modern conveniences while away from home, full kitchen with stainless steel appliances, granite counter tops, dishes, utensils, silverware, and pots and pans, tropical furnishings with brightly colored accents, living room with separate bedrooms, color cable tv, and sleep sofas. While soaking up the sun on your florida vacation, enjoy our heated outdoor pool, bar-b-que and picnic area. A newly renovated 13 room boutique hotel on the Gulf Mexico, The Pearl, is a magical island oasis. Allow time to stand still as you explore your very own private beach, search for sharks teeth, fish, or simply watch the sunset over the crystal blue waters of the Gulf. Each tastefully appointed guest room includes a private patio or balcony, 27 inch color lcd flat screen TV/DVD combo, free satelite programming, digital telephones free hi-speed wireless internet, and private bath. With a 425-slip marina and a myriad of water-based activities, Burnt Store is the active fisherman/boater's ideal locale. Within minutes of the community, guests can enjoy the best fishing, scuba diving, water-skiing and sailing.